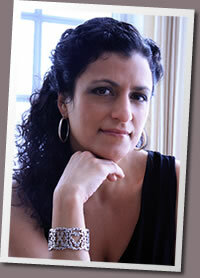 Please welcome Danette Vigilante, author of The Trouble with Half a Moon, published by G.P. Putnam & Sons. Thirteen year old Dellie lives with the guilt that her little brother’s death was her fault. Her mother cries all the time and because she wants Dellie to stay safe, she keeps her inside as much as she can. It doesn’t matter that Dellie longs to go outside to be like other girls or that there’s a boy she likes and he likes her too. All that matters to her mother is that she’s safe at home. So, Dellie has no choice but to watch the world of her housing project through her second story window. I love the premise of The Trouble with Half a Moon because it takes a look at the ripple effect of what we do with the good and bad in our lives. What inspired you to write this book? I grew up in a housing project where a little boy would go from apartment to apartment asking for food. As you can imagine, it was heartbreaking. That little boy stayed with me and patiently waited until I was ready to give him what every child should have: safety, love, food and friendship. Who in your life inspires you and why? I’m a greedy inspirational seeker so I find it everywhere from my two girls and my husband for not being afraid to step out of their comfort zones to everyday stories I read about people doing good for other’s. Which book character do you find inspirational and if he/she were to talk to you, what might they say? What is it that you are hoping to inspire into your reader’s lives? That even the smallest good deed is powerful enough to change a life for the better. Maybe even your own. Believe it or not, I’m a relatively new chocolate lover and pretty much like it all with the exception of dark chocolate. Can I just say that I’m currently addicted to chocolate covered raisins from Costco. They blow Raisinets away! My feet! I love to walk. Definitely computer. I couldn’t survive without cut and paste. Thank you so much Danette! 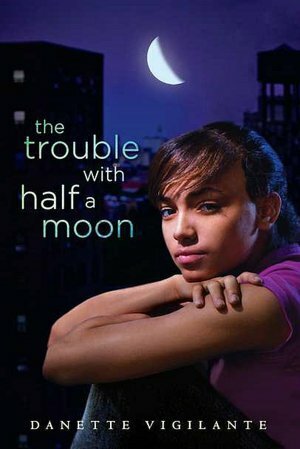 Fill in the Raffelcopter form to win a copy of The Trouble with Half a Moon. I’ve heard about this book before and would love to read it. It is a subject that needs more light. I haven’t heard of this one, so thank you so much for sharing about it! And the interview is concise but deep; thank you for that also. This book is on my To Read list! Sounds really moving. Thanks for the interview. Thank you both for the interview. My inspiration comes from other people’s artistic creations. Great interview, Christina. And such an inspirational book, Danette. Let’s get the word out!